The new line of Waveform Fidelity cables was created for one purpose only – the faithful reproduction of music. Each of their cables is meticulously designed to offer our customers a lifetime of musical enjoyment, unrivaled at the price point and arguably better than many of the statement audiophile cables today costing in the tens of thousands of dollars. You will notice they've foregone the usual "audio jewelry" connectors, fancy metal and wood cable covers, luxury packaging and expensive marketing campaigns that add nothing to your enjoyment and have contributed to the unrealistic prices of many of today's top cables. Instead they have put 100% of their effort into five years of painstaking development to achieve a sound that defies the usual audiophile descriptions and simply draws you deeper into the music. Waveform Fidelity cables represent a voice where musical images are rendered completely absent of electronic artifacts, conveying the full weight and body of instruments and voices occurring as they occur naturally in time and space. Lest you think Waveform Fidelity is new to this game, their merry band of passionate music lovers and artisans has been providing music lovers from around the globe the highest quality cables under the Kaplan Cable brand name for the past four years. 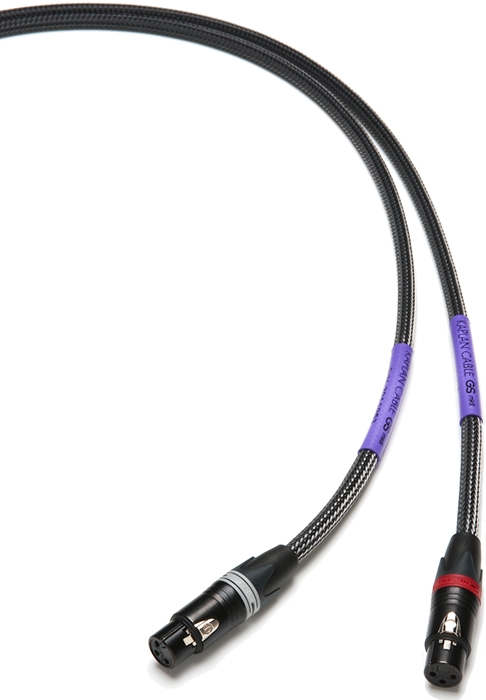 We are now proud to introduce their best effort yet, the new GS3 series of audio cable from Waveform Fidelity. Waveform Fidelity employs sound engineering principles proof-tested by critical listening. No snake oil here. Pure copper. High quality terminations. Hand-built construction. You can certainly find more expensive cables out there—but not better. Just listen. 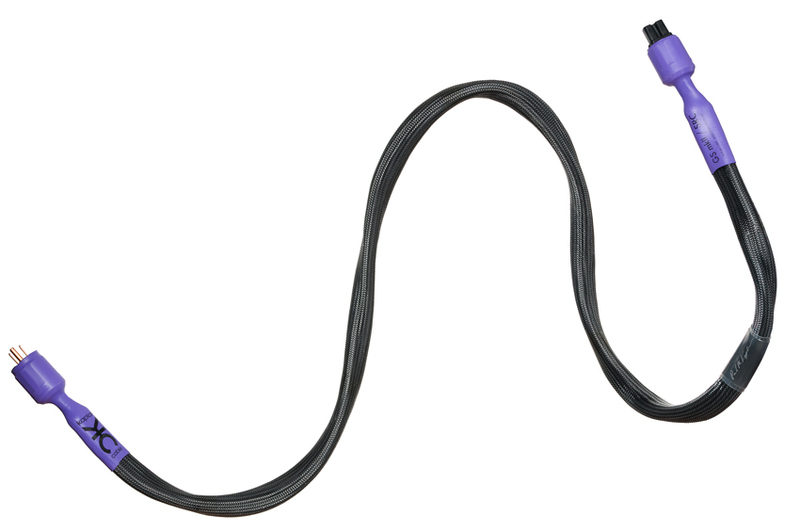 Ultimately, the best thing I can say about the Waveform Fidelity cables is that I just don’t think about them when I am listening to music. During these last weeks I have had to remind myself that I'm supposed to be evaluating them for review purposes. With all of the other improvements I have made to my system this year, these cables are a crowning touch. I will be writing about some of the other things that have contributed to the improvement, but I believe that the Waveform Fidelity cables have allowed all those other improvements to be realized fully. I have already revealed the punchline here, but to restate it, I give these superb cables my highest recommendation. 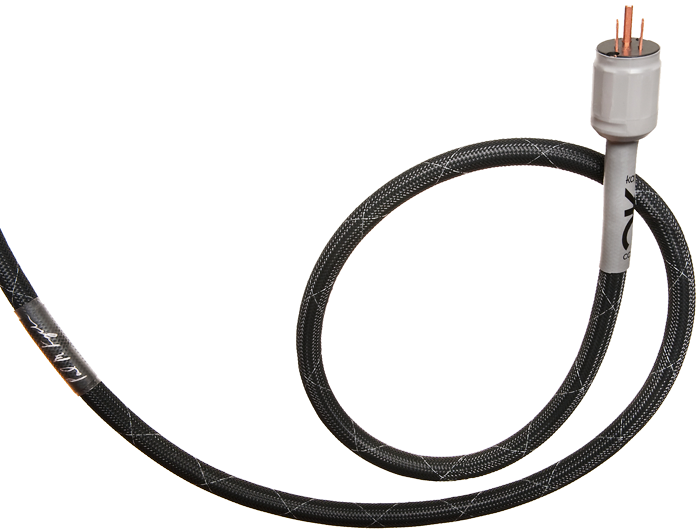 Waveform Fidelity’s Flagship power cord. Two versions: the “HC” for high current applications such as power amplifiers and power conditioners; and the the “SRC” version for preamplifiers and source components. Each tailored to the specific needs of various components. Designed especially for preamps and source components. Approximately 7ga net hot and neutral, in a self-shielding, field cancelling topology for maximum power transfer and minimal succeptability to RFI/EMI safety ground involvement. Designed specifically for “high current” applications such as power amplifiers and power conditioners. Approximately 7ga net hot and neutral, in a self shielding, field cancelling topology for maximum power transfer and minimal succeptability to RFI/EMI safety ground involvement. An upgrade to the original Kaplan / Waveform Fidelity Power Cord. 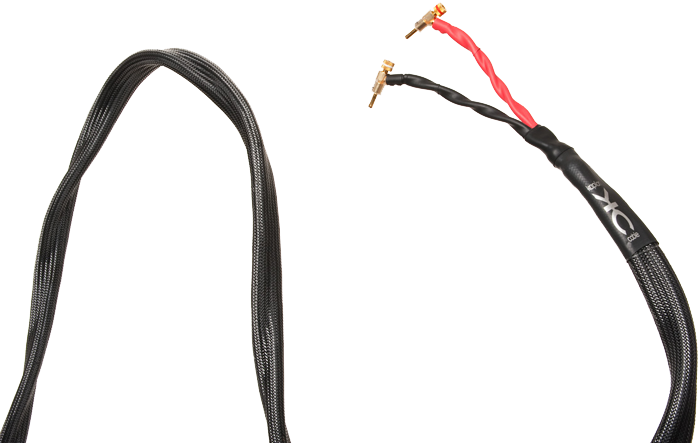 While the internal cable is equally at home in a mine or an oilfield, its characteristics, dielectric and dissipation characteristics make it ideal for audio components, especially power conditioners and amplifiers. Reference quality and a lot of bang for the buck! After inserting these cables in my system, I noticed that my listening sessions became far more frequent, more enjoyable and often extend into the wee hours of the morning. I attribute this to my systems new found musicality. I experienced the pleasure of rediscovering my record collection. Record after record revealed information that I hadn’t heard previously nor, experienced so pleasantly. If you are primarily interested in listening to and enjoying music, as opposed to hearing sound effects and, if you are looking for speaker cables in this comparatively reasonable price range, then you have to seriously consider the Kaplan Cable GS speaker cables. Because of my experience with these cables, I will have to tell Paul not to expect them back. On the other hand, I am nominating them for an Audiophilia Star Component Award, the first I’ve ever awarded. Given these conditions, I highly recommend these cables. After many years of R&D invested into developing his acclaimed line of power cords and speaker cables, Paul Kaplan's singular focus when he set out to design his interconnects was to build interconnects that could compete sonically with the "best". Armed with this goal, he first assembled a group of the most musical yet neutral interconnects available, conducting exhaustive listening auditions of each in a wide variety of "beta" systems. These cables represented the flagship offerings from well known & respected cable manufacturers (ranging in price up to $13,000 / meter). Once he had ascertained the desirable attributes from this test group, he set forth to further improve upon these sonic characteristics, successfuly implementing them into his GS interconnects. The MkIII iteration was refined further using new, advanced manufacturing technology. 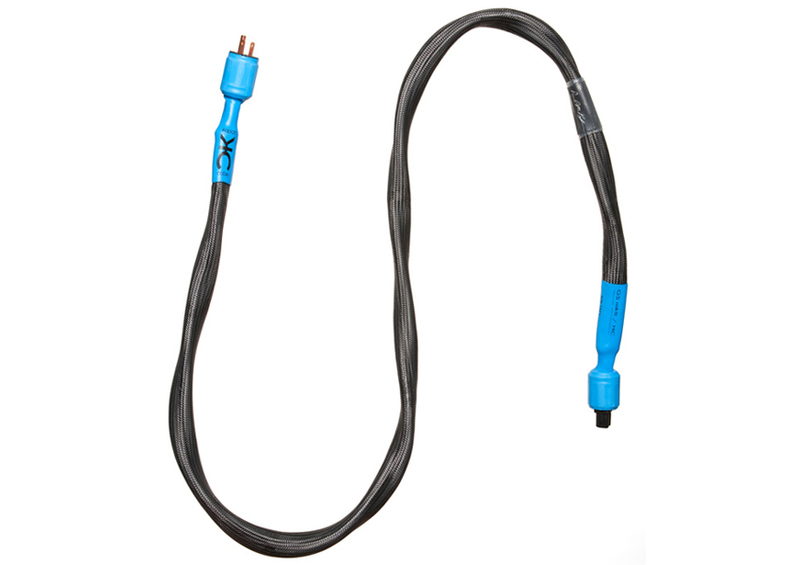 Available in both RCA & XLR terminations in standard and custom lengths. They have a wonderful presence about them without having a tinge of aggressiveness. Think silky smooth while extension reaching into the depths of all that is in the deepest layering of the bottom end. With a tautness that is quick. Some cables give you the speed but lack the weight that these cables carry. I wouldn’t want to separate the low’s, mid’s or top end into categories as they are all presented in such a wonderful cohesive presentation. A beautiful organic mid-range that is the best I have ever heard my system portray. Intoxicatingly seductive like the finest wine or Scotch you have ever enjoyed. Shimmering extension of the upper frequency that is a joy to listen to. When the instrument calls for attention these cables don’t smooth it over but give you what the musician is playing with a call to step up to the table and indulge yourself in a second helping. Just delightful! Paul’s proprietary designed jumper cables are the best we’ve heard. They’re available with either spade or banana terminations in standard or custom length of your choice. Paul Kaplan’s original foray into high-end audio came from his intimate knowledge and understanding of AC power supplies. Originally intending on developing sophisticated hospital grade power supply systems, he applied his technical prowess & expertise towards building what eventually evolved into the Alchemist Power Conditioner. Like all Kaplan / Waveform Fidelity products, the Alchemist offers reference grade performance that once again punches way above its reasonable price. It comes standard with eight of Paul Kaplan’s cyrogenically treated outlets (four duplex outlets). One pair of outlets, rated for amplifier use, have a specialized 20 amp filter capable of filtering power without limiting or slowing current delivery. A fourth duplex outlet is provided with parallel filtering and, according to Paul Kaplan, are provided for components that do not react well to power conditioners, giving the user options. Custom arrangements of outlets are available upon request for an additional fee. Please call us at if you desire options that are different from the stock configuration. The individual filters specific to the outlets are 12/18db (ingress/egress) low pass filters, addressing both common and normal mode noise. While the components for surge suppression, reactive filter components as well as the breakers, wiring and connectors are specified by technical measurements and ETL approvals, the choice among possibilities is made by subjective evaluations. When the ‘finalists’ are chosen, further evaluations on different systems by different listeners are conducted to ensure that the products is not just optimized for one system and set of preferences. Early on in the development of the Alchemist, it was found that if you had a component that you knew wasn’t subject to the mains power demands of a power amplifier, you could provide a current limited (via a 3 amp breaker) filter(s) with better objective and subjective results for powering source components. The first and most immediate observation was an increase in the size of the soundstage. A further expansion of space beyond the speakers took place. There seemed to be a larger dynamic envelope at work that gave the sound a more lifelike presentation with more substance. Images were larger and more three dimensional, more visceral.